Ladies, if those annoying hot flashes and night sweats have you feeling like you are going to lose your mind, we have some real solutions for you. 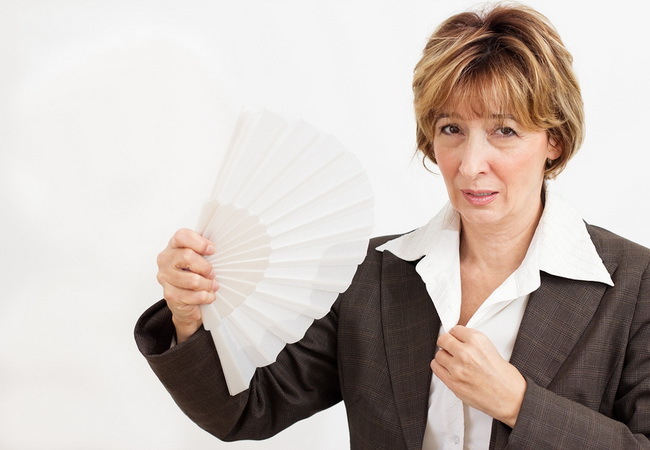 About 85 percent of women who go through menopause will experience hot flashes and night sweats. The decrease in the amount of estrogen that your body is making is the main culprit behind these uncomfortable symptoms. You will want to avoid hormone replacement therapy at all costs. A clinical trial published in July of 2002 by the National Institute of Health found that these artificial hormones greatly increase the risk of blood clots, strokes, breast cancer and ovarian cancer. First, take comfort in knowing that you are not alone and that your body, which might feel like aliens took it over, will return to a new normal. This adjustment period is temporary, even if it is uncomfortable. Second, take a few minutes to read this article and find out the best ways you can find some natural relief from those, oh so annoying symptoms. Not everything works for everyone so if one method doesn’t pan out for you, try another one. The following list of 15 ways to find relief from hot flashes and night sweats has been used and reported by millions of women to have given them relief from their symptoms. One of them is bound to work for you! You might be wondering how one simple vitamin can make a difference. Vitamin E can because it contains estrogen, which can almost immediately eliminate or at least reduce the severity of hot flashes. 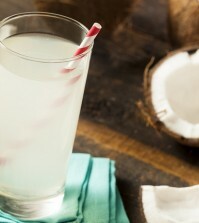 It also replace the electrolytes that you lose during night sweats One study, done at the Tarbiat Modarres University in Tehran, found that when 54 subjects were given 400 IU of vitamin E over several weeks, that there was a dramatic reduction in the severity of their hot flashes. Take one 200 IU capsule twice each day to help reduce your night sweats and hot flashes. You can also include plenty of nuts and tropical fruits in your diet to increase your levels of vitamin E. It might take some women two or three weeks before they see results, so be patient. This method has really worked for thousands, perhaps millions, of women around the world. One study, published in the journal Menopause, found that after only ten acupuncture treatments, the 267 women in this study had far fewer episodes of hot flashes and night sweats. All the women in this study also stated that they had less overall pain and slept better. Another study found that after just 7 weeks of acupuncture the severity of night sweats for all the women in this test were reduced by 28 percent, compared with a mere 6 percent of those who received fake acupuncture treatment. Get two treatments each week for 6 to 10 weeks from an experienced, qualified acupuncturist and see if your symptoms improve. This works for many women and has been used for centuries. The air flow we mean! Keep a mini-fan in your purse for those unexpected tropical moments during the day and create the best possible air flow in your home and bedroom to help keep you cool. Direct fans over your bed, open the windows and keep some ice water at hand at all times to help keep you cool when those hot flashes strike.